Well the season is upon us once again...Christmas. I sometimes wonder if it is the same worldwide, or just in places I have visited, but it is a time for family. We have been fortunate, wherever we live, to get 'adopted' by someone. Since this is the every first year we will be away from our kids, it is so nice to have a 'family'. The family pictured, with myself, (above) has been our family in many senses of the word. We have joined this family every year for Christmas since we came to GDL. We feel a part of them, we love them. You might by now recognize these two ladies as my Mexican sisters. They are sisters by birth, I am by 'adoption'. Ale was our next door neighbour till just recently. She moved across the city, some 1/2 hour drive away. So we no longer go to the gym together, we no longer have SEAN together (they just recently graduated), and we don't see each other daily. But we have become family and so we will gladly drive across the city to be with her and her family. 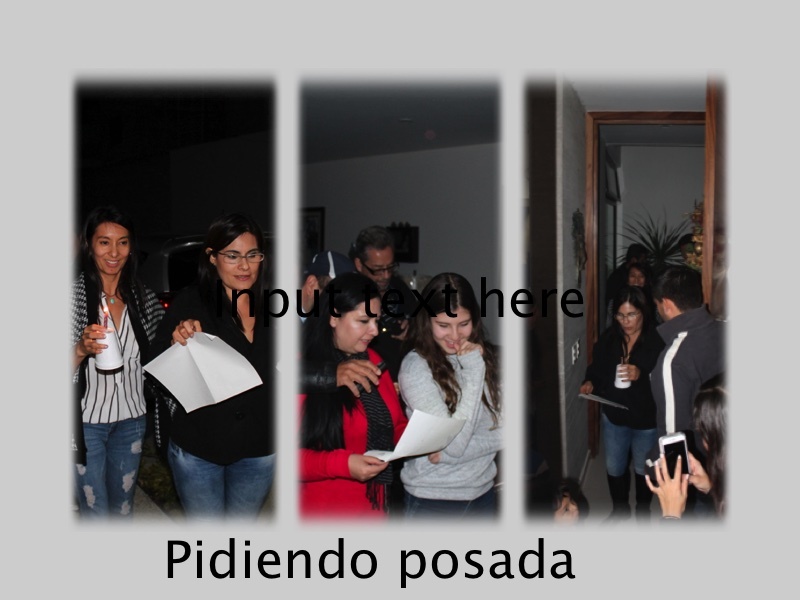 For a gathering to be an actual 'posada' one has to go through the tradition. This means you sing a song where the weary travellers are asking for room in the inn. Half the group goes outside, lights candles, and begins to sing. The other half are inside, responding. By the end of the song you let them in. Aside from a few lines that are outside of our theology, it's a nice tradition. Ernie introduced table games. Here he is pictured teaching them Skippo which everyone enjoyed tremendously. This was played throughout the night. Later he took the little kids and taught them 'Go Fish', which quickly had adults joining in. The kids only wanted to ask Ernie for cards. He is a kid's favourite wherever we go! This tradition is very Mexican, although not necessarily a Christmas one - karaoke! Music is a part of absoluely every party. Singing is often forthcoming as everybody knows every song. I have learned the words to one song, completely because it is unheard of that you won't participate! And then we ended with the exchange of 'bolos' (this is a toocha - or a treat bag). Everyone is assigned someone to give theirs to, hugs and a Merry Christmas are exchanged along with the bag. It is loud and fun! So, this is but one of our Christmas parties. December is a month of 'posadas'. I have gone to one for the dance class ladies, one for just the gym ladies, one for the missionary ladies, Ernie and I did a couples one, and then this one. We will be joining a family for the 24th, plus a couple of impromptu ones. Its about celebrating friendships, love, relationships and on occasion someone reminds us of the real reason for the season. I trust each of you will not forget that the real gift was Jesus, then, as He is today. As you remember Him, remember why He came. He loved us, love others.